It’s time to raise a toast to the Newly Wedded Posts!!! Matt & Maddy tied the knot in Dahlonega, Georgia this November and I had the pleasure of creating stationery for their special day! 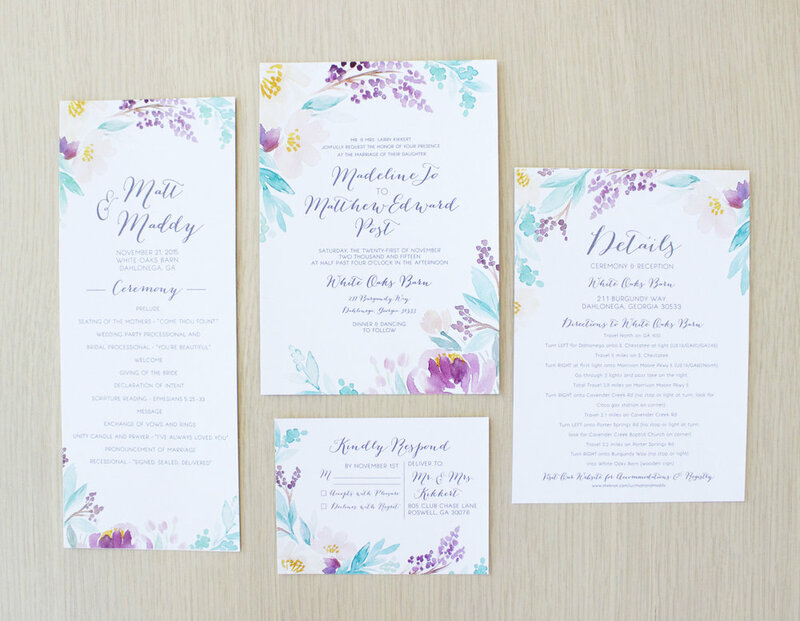 This romantic suite was inspired by rich plums and deep earthy tones, perfect for an elegant fall wedding! I’m just thrilled with the final product!!! Congrats to lovely couple!! !